Since 1999 the University of Amsterdam (Netherlands) has offered a Master's trajectory "Mysticism and Western Esotericism" as part of the Master Religious Studies (both in a one-year format and as a two-year Research Master). Furthermore, a series of four modules on Western esotericism in Dutch are offered as part of the Bachelor program Religious Studies. For full information, click here (sections Prospective Students and Current Students). From 2012 the University of Groningen (Netherlands) will be offering a new Master's programme "Concealed Knowledge: Gnosticism, Esotericism, and Mysticism." For further information, click here. 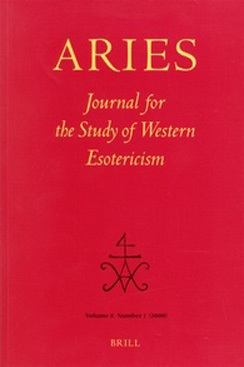 Since 2005 the University of Exeter (UK) has offered a Master's programme "Western Esotericism." For full information, click here. Since 1966 the Ecole Pratique des Hautes Etudes (Sorbonne, Paris) has a chair for "History of Esoteric Currents in modern and contemporary Europe" with a post-graduate program. For more information, see here. 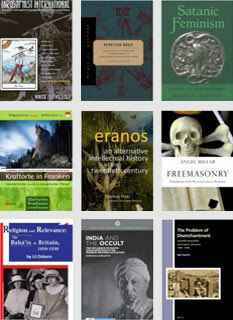 The universities of Amsterdam, Exeter, Groningen, and the Sorbonne are presently the only universities offering graduate courses in Western Esotericism. Within the religious studies department of the University of Kent, UK, a Masters programme "Mysticism and Religious Experience" is offered. For details, click here. The Sophia Project, University of Wales, Lampeter, UK, offers a Masters programme "Cultural Astronomy and Astrology"; for details, click here.